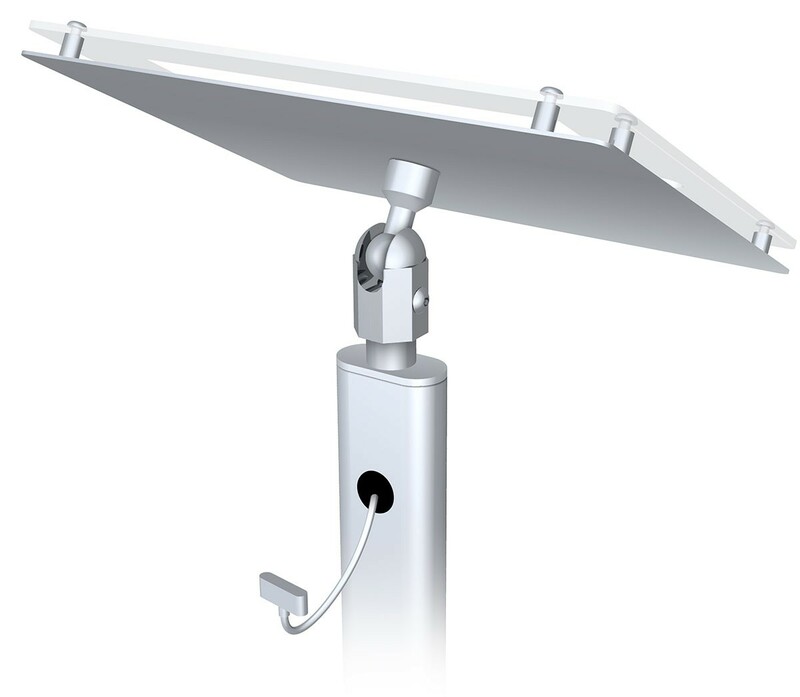 The Classic Pro iPad stand is a portable display that is designed to hold 2nd generation and later iPads for a secure, attractive and functional presentation. 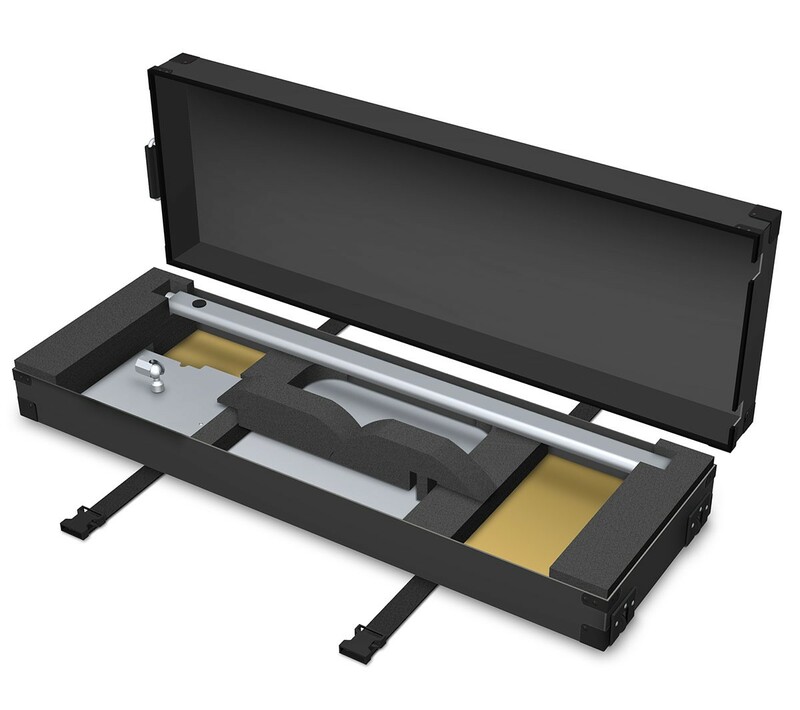 What sizes are the screws for attaching the case to the stand, and the stand to the base? The screws that hold the base are 1/4” - 20 and the screws for the cover that holds the iPad are #8 - 32. 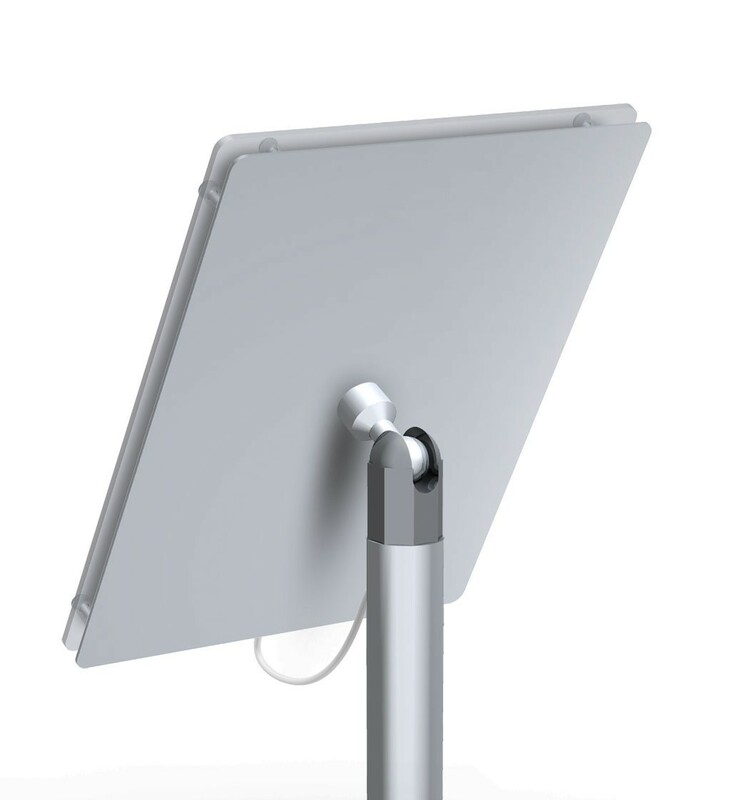 The Classic Pro iPad stand is a portable display that is designed to hold 2nd generation and later iPads for a secure, attractive and functional presentation. 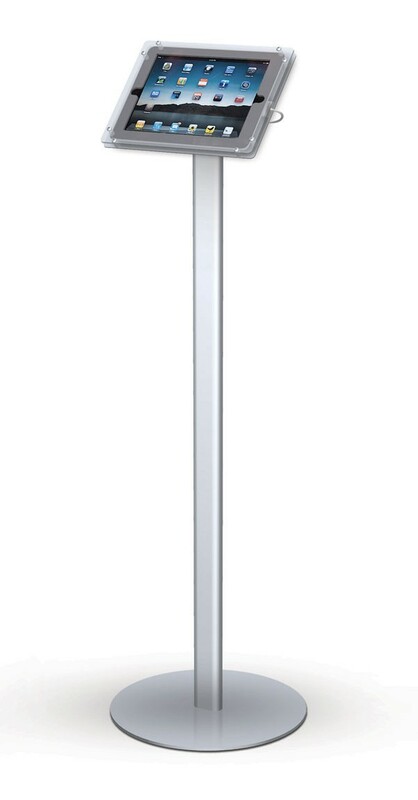 Made in the USA, it comes with either a 13" round or square steel base, and a 37" aluminum upright. 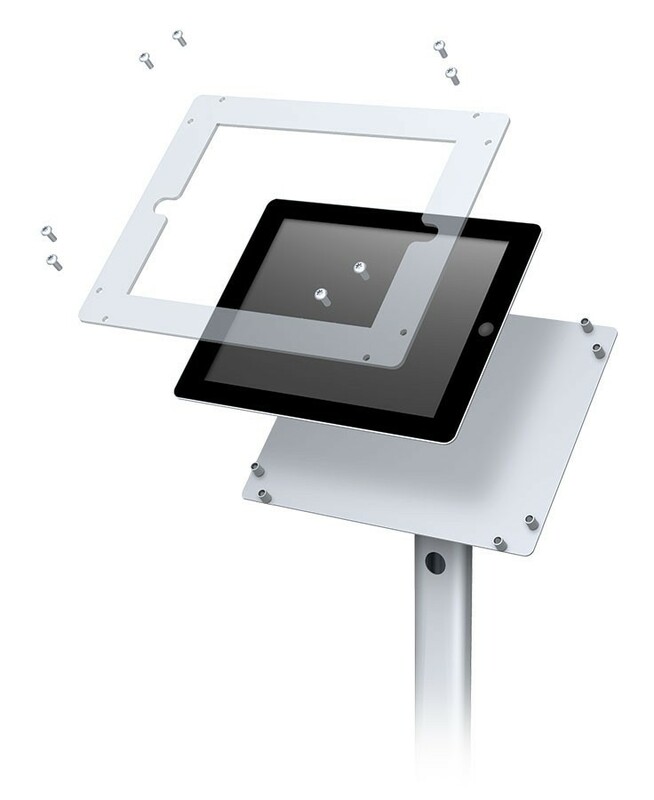 The iPad is held between a metal back and high impact acrylic cover with anti-theft screws, and allows the iPad to tilt and swivel a full 360° for maximum viewing versatility. A USB cable with a 30 pin connector is included and is routed through the upright for a clean presentation. 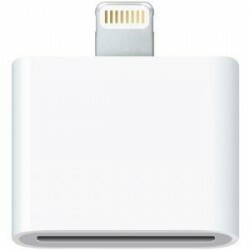 A lightning to 30 pin adapter is available for use with newer iPad models that require a lightning connector. 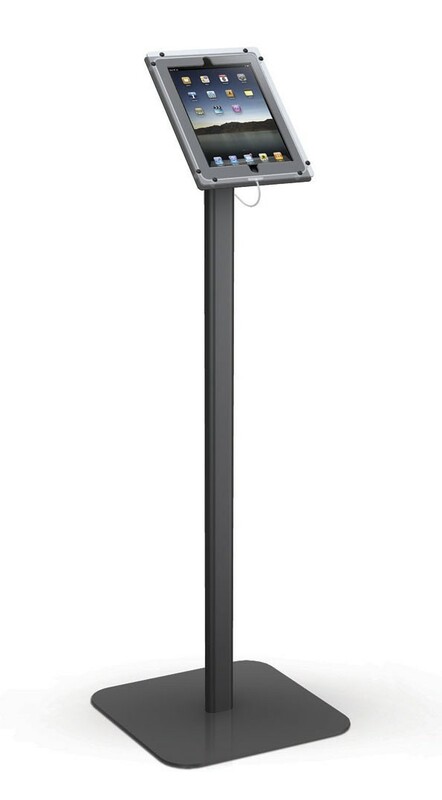 The Classic Pro iPad stand is available in a satin silver or matte black anodized finish with either a round or square base. The display ships either packed in a box, or shipped in an optional hard travel case. 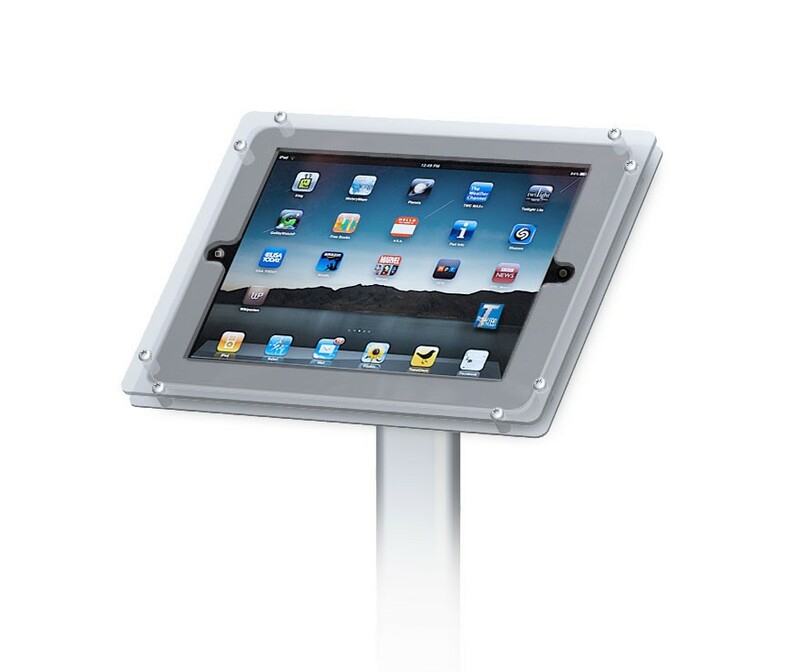 Note: this display is not compatible with the first generation iPad or iPad Mini.